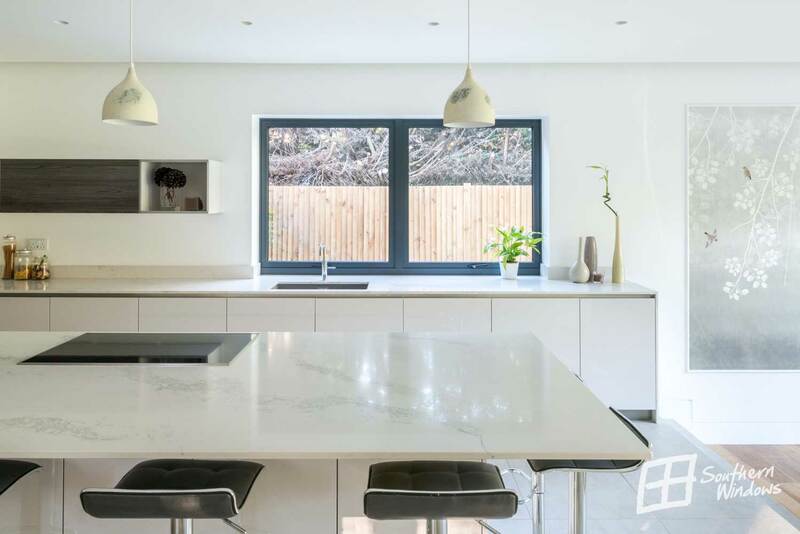 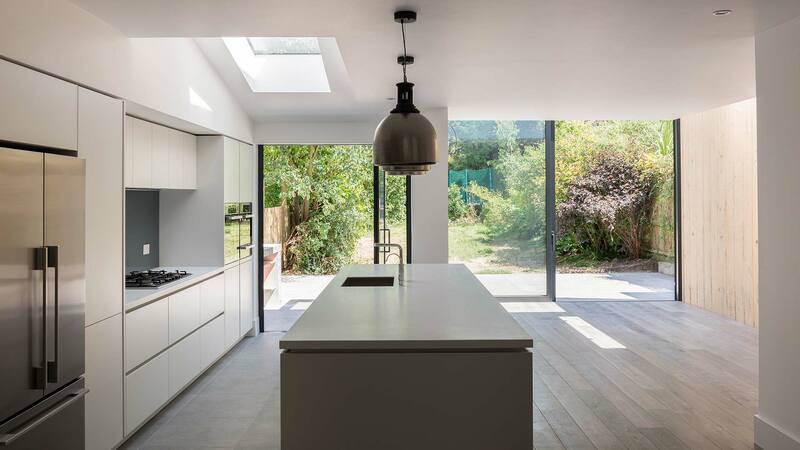 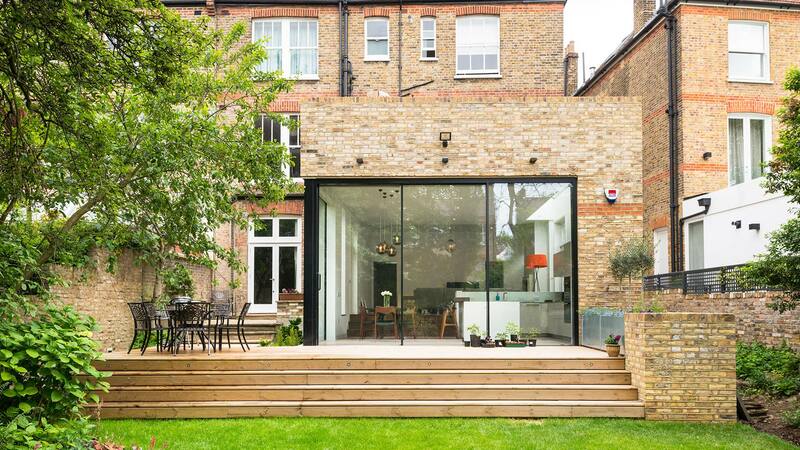 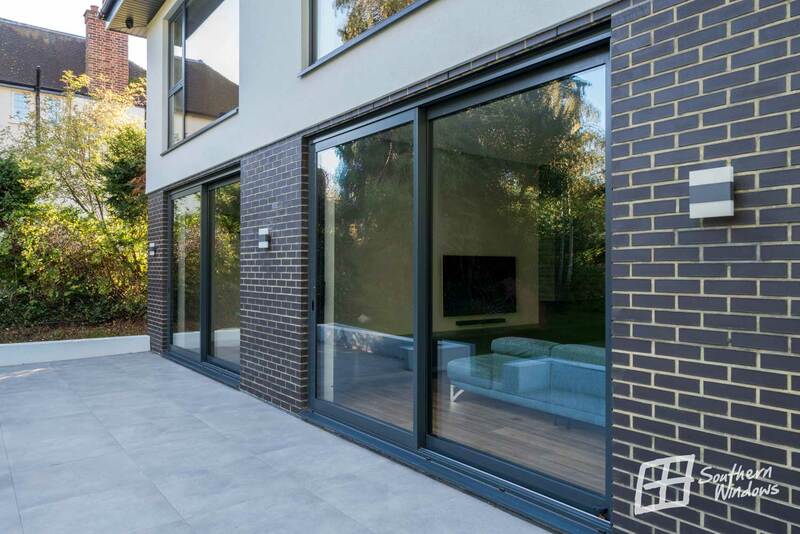 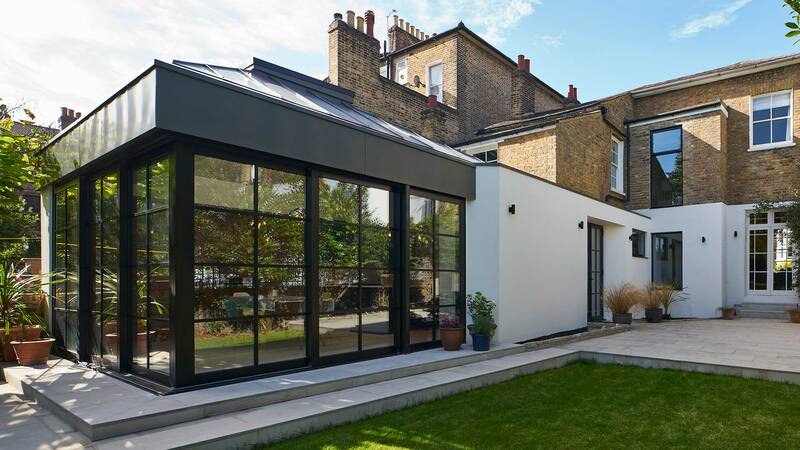 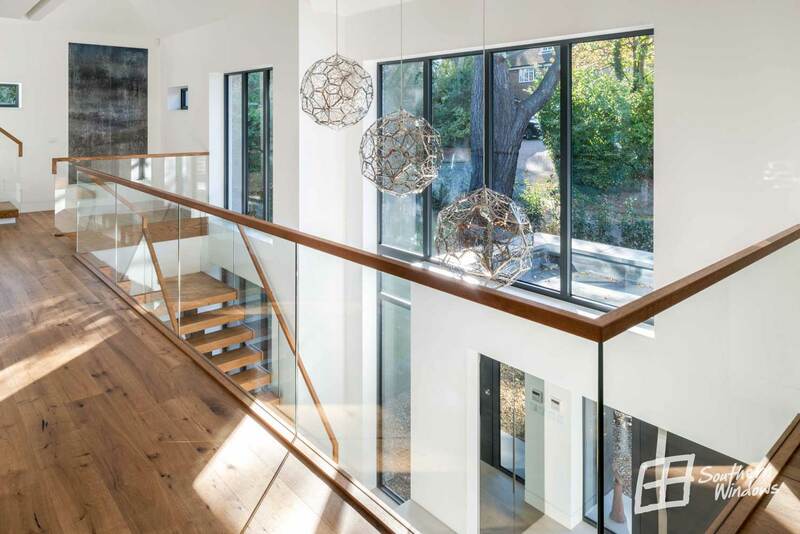 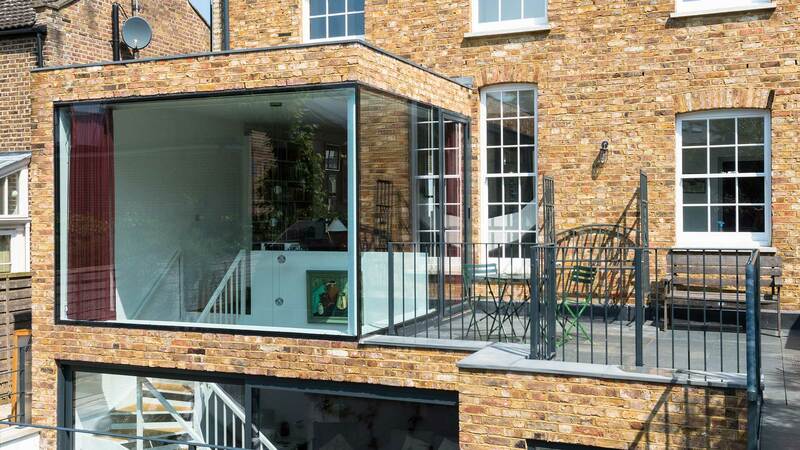 This striking two-storey new build in Harrow, northwest London, is wonderfully bright and airy thanks to the use of large swathes of bespoke glazing, allowing natural illumination to flow through internal layout. 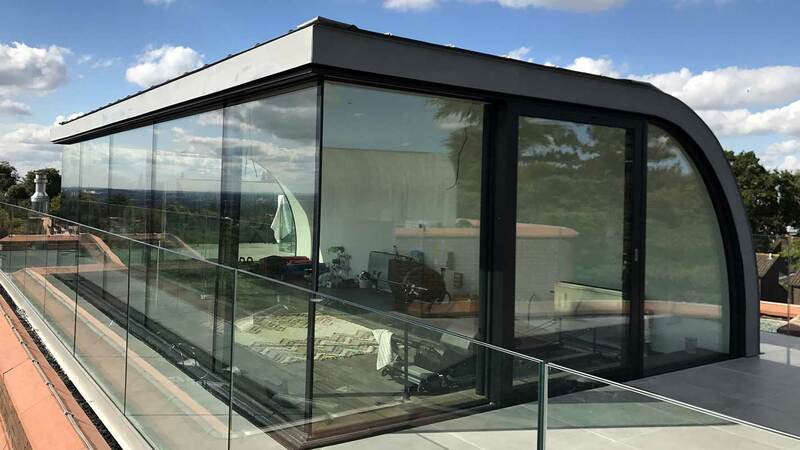 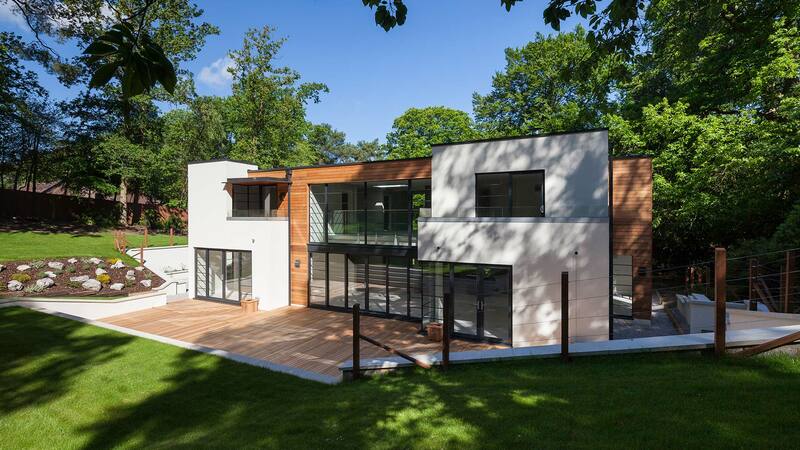 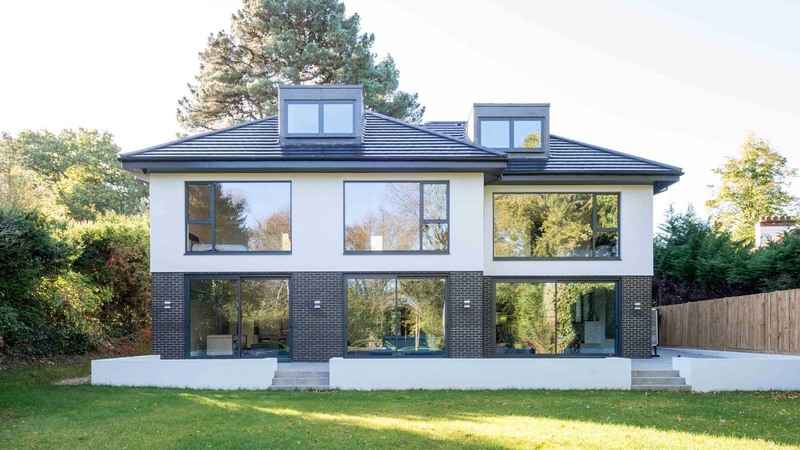 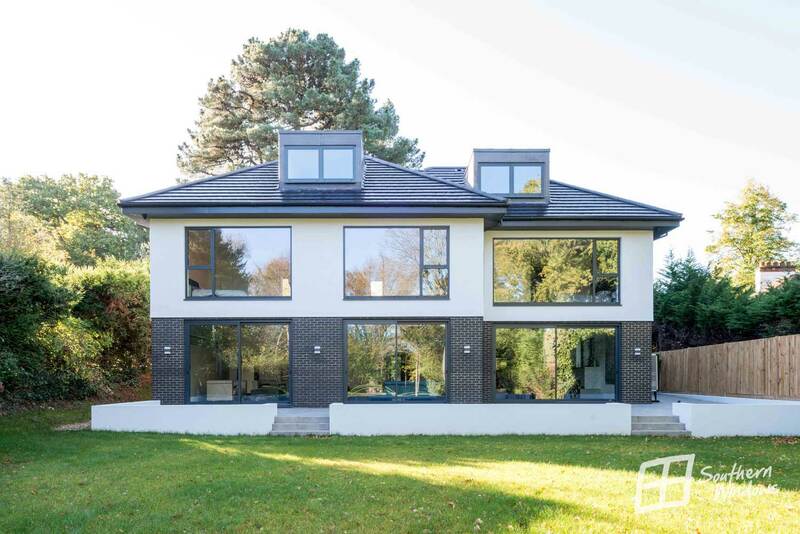 From casement windows and effortlessly gliding sliding doors, to double height entrance hall – this house features modern glazing tailored to flood the entire house with daylight. 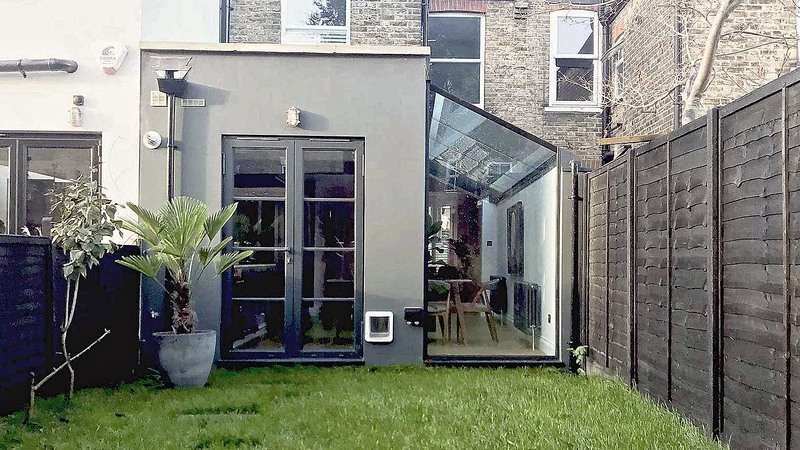 It was carefully planned to manage glare and prevent overheating. 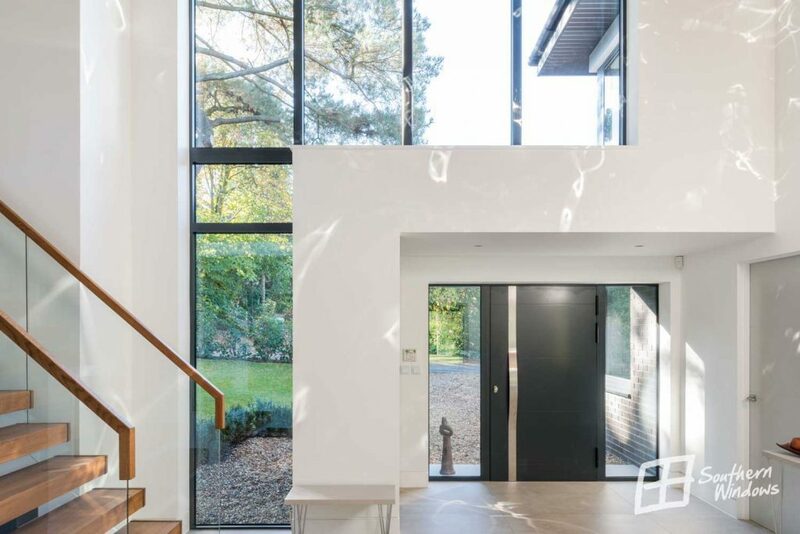 Spectacular entrance area features modern aluminium entrance door from Schüco with two sidelights and double height glazed wall. 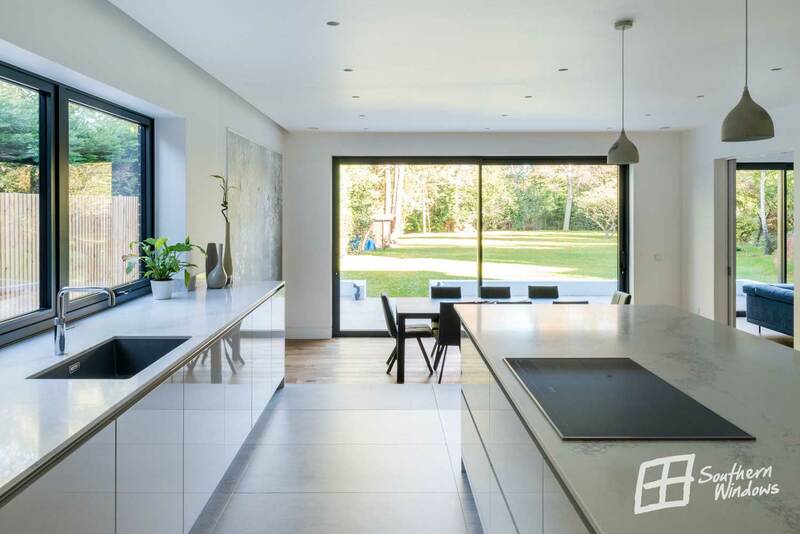 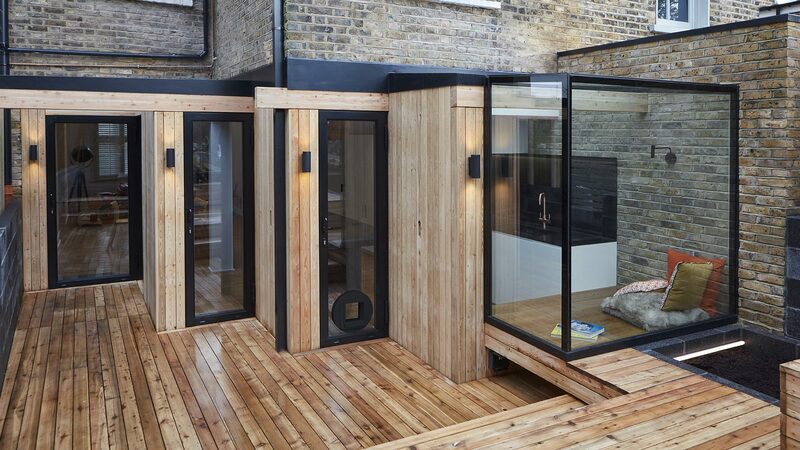 On the other side three sets of Schüco sliding doors offer easy access to the garden area, seamlessly merging indoor and outdoor spaces. 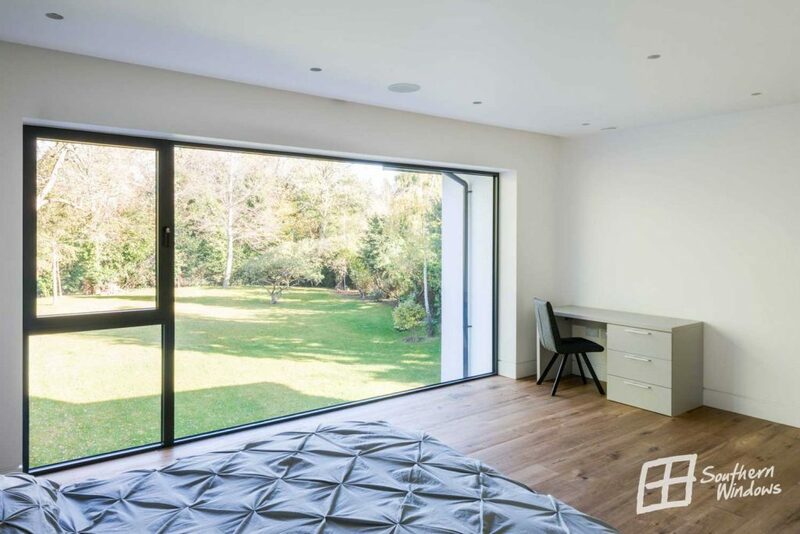 Second floor features large, fixed, floor-to-ceiling picture windows with near invisible frames to maximise the view from the bedroom. 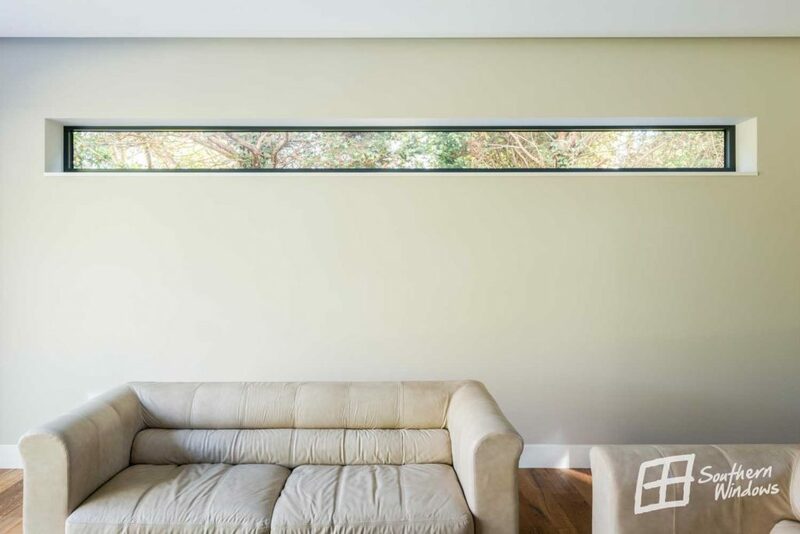 They also incorporate smaller windows for ease of ventilation. 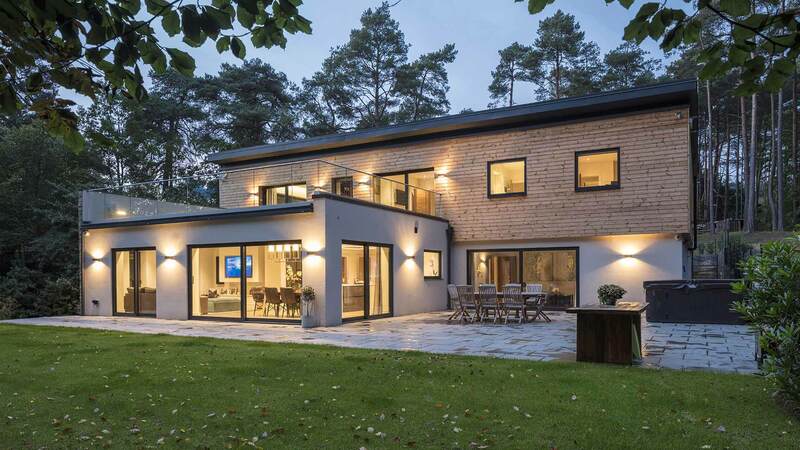 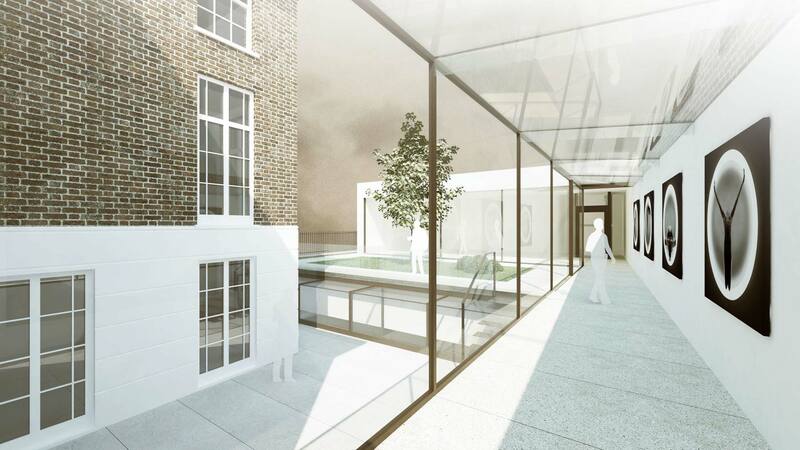 This design wasn’t in the original plans, but our team worked closely with the client suggesting improvements to the original designs, that not only largely benefited living spaces, but also deliver the wow-factor.